International students of Elite Prep attended second Annual International Instant Decision Day on November 3rd, 2017 at the Fair Bridge Hotel & Conference Center in Somerset, New Jersey. Admissions officers and representatives from 17 higher education institutions were present to review students’ credentials for immediate decision. Study New Jersey was founded by a group of two year and four year universities for the purpose of promoting New Jersey as a premier destination for education and training to prospective students worldwide. Its purpose also includes providing professional development and networking opportunities for international enrollment management professionals at member institutions. The university staff can share general information about the institution, program offerings, etc. and information more particular to international students. This portion is open to students of all levels. There will also be an immigration resource table for students and counselors to pick up information about the various categories of international students and implications for studying for a US degree. 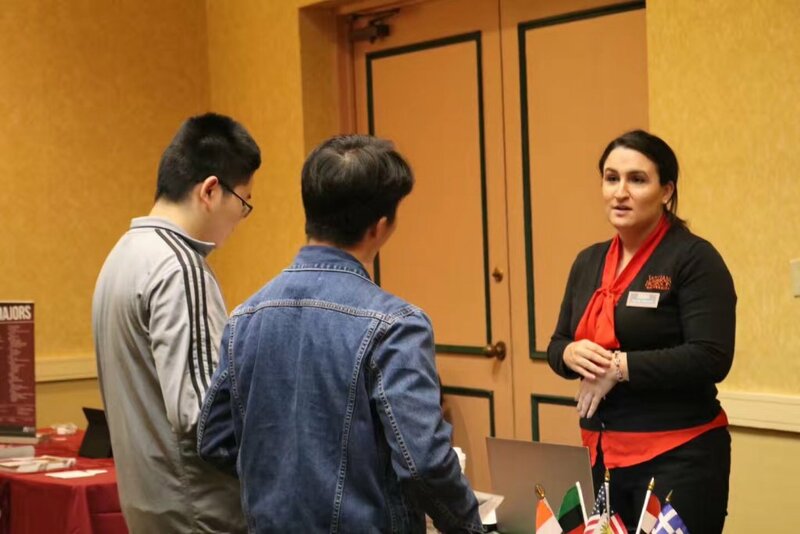 College fair is able to connect prospective international students with outstanding academic opportunities available at member institutions and provide students with professional development and networking opportunities among member institutions. Students have a on-the-spot college admissions interview and may receive instant admissions into a participating college or university. Counselors pre-qualify students for the event and make appointments for students interested in an admissions interview.